Search Results for "monkey forest"
Gray Macaque Monkey, Bali Ubud Monkey Forest . Monkey is looking to the camera, lying on the back and eating some small part of something. Famous dragon bridge in Monkey Forest . Monkeys, temple and stone statues. 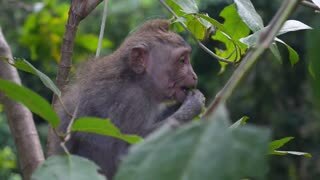 Adult monkey sits and eating banana fruit in the forest. Monkey forest, Ubud, Bali, Indonesia. 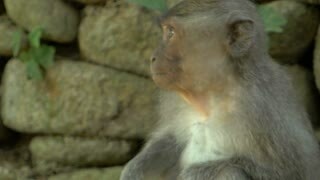 Man looking at monkey lying on ledge and monkey reaching toward man to hold his hand in the Monkey Forest in Ubud, Bali. Monkeys checking for fleas. Lying monkey. Sacred Monkey Forest near Ubud. Monkey feeding. Monkeys eating fruits. Sacred Monkey Forest near Ubud. Family of long-tailed macaques (Macaca fascicularis) in Sacred Monkey Forest Sanctuary, Bali, Ubud, Indonesia. One adult monkey grooms other while their child climbs up stairs. Camera zooms out. A small macaque monkey in the Monkey Forest in Ubud, Bali looking around and moving his head back and forth rapidly with big wide eyes.